"Qlik offers immense benefits, for Tracker internally, and for our customers externally. We are now making better decisions, faster," says Wikus Combrinck, General Manager: Business Intelligence Competency Centre at Tracker. Tracker South Africa was established in 1996 and currently connects over 1 million vehicles. To most people, Tracker is seen as a stolen vehicle recovery (SVR) company, and while SVR is still at the core of the business, it has evolved significantly over the last 21 years. 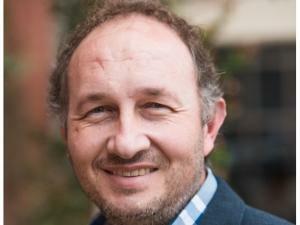 Wikus Combrinck, General Manager: Business Intelligence Competency Centre at Tracker. Through a culture of continuous innovation, driven by an experienced and dynamic team, Tracker has built a reputation far beyond its SVR roots. This growth positions it as a leading provider of telematics solutions to an automotive ecosystem, which includes original equipment manufacturers (OEMs), dealers, insurers, fleet operators and consumers. Through the positive evolution of its data systems and interpretation, Tracker is providing value-added information to clients. This is a function that has grown exponentially. Today, Tracker is data: how the company collects it, processes it and turns it into knowledge allows it to provide proactive value to its partners and customers. Qlik plays an integral role in making this level of data interaction possible. The amount of data gathered by Tracker is staggering, with over 40 million telematics messages generated daily. However, raw data is worthless. With this volume of data coming in daily, and prior to implementing Qlik, Tracker faced various pain points in terms of its data management and analytics. These challenges included static reports and manual, Excel management. The organisation relies on the ability to interrogate and extrapolate meaning from this data to set itself apart from its competitors. Customers constantly grapple with the challenges of a connecting world, and Tracker required a data management and analysis tool that could help customers overcome these challenges. To Tracker, the biggest challenge was to give customers information in a format they could easily understand and would want to interact with. "We wanted to give customers the chance to have an interactive view of their own data, within a dashboard that gave them the option to choose their own views and make their own comparisons, in whatever format they prefer and in a powerfully visual way," confirms Combrinck. In 2012, Tracker implemented QlikView. "We considered four data management and analysis products, and decided to implement Qlik," confirms Combrinck. This intensive selection process entailed an in-depth comparison of 30 different functional areas, evaluating what each product can and can't do. Three products were shortlisted, further capabilities studied and finally, Qlik was chosen. The company has continued to expand its understanding and use of the tool throughout the organisation. "Over the last two years, we have been aggressively implementing new models. In 2014, we had 10 models, and we are now on 85," states Combrinck. Tracker also implemented Qlik Sense in mid-2017. To ensure the smooth implementation of the tool, and acceptance by staff, change management and training was conducted. "Once the users started seeing the benefits, they just wanted more. Some users participated in training to build their own models and have taken total ownership of their Qlik dashboards and applications." With a belief in the tool, and first-hand experience of Qlik's ability to explore the hidden relationships within data, Tracker became a SA Qlik Master Reseller OEM Partner in 2016. Tracker currently has approximately 380 internal QlikView licences, and 400 000 external licensed analytic subscribers. "Our goal is to get to 1 million subscribers," says Combrinck. Combrinck confirms the Qlik solutions have resolved Tracker's data visualisation challenges. "Our staff and customers are now able to pull the information they need on a real-time basis. They can see and create dashboards they previously were not able to, and have access to interactive, intuitive reports." Having successfully overcome static reporting, Combrinck confirms that Qlik has had a massive impact on Tracker's productivity, efficiency and client service. "We prepared an analysis of how many hours we have saved the company through Qlik; in 2017, we saved 12 966 hours. Our data management and analysis were mostly manual processes before Qlik and that wasted a lot of time." While the 85 QlikView models offer a host of benefits that infiltrate throughout the organisation, Combrinck adds the tool has delivered enhanced productivity, a greater recovery rate, and improvements in most of Tracker's business areas. Qlik has been implemented in Tracker's operations, sales, finance, debtors & creditors, customer-facing analytics and dashboards, and procurement departments, and implementation in the human resources department has now begun. "This drives benefits to our customers, while empowering us to make better decisions, faster. Exporting from Excel was limiting, but this is no longer a problem," Combrinck adds. As Tracker continues to evolve its solutions, operations and efficiencies, it will continue to foster its relationship with SA Qlik Master Reseller. "We are definitely looking to expand. We will soon be adding Qlik NPrinting and considering additional features," concludes Combrinck. "New projects will be embarked on, as we continue to invest in Qlik products." 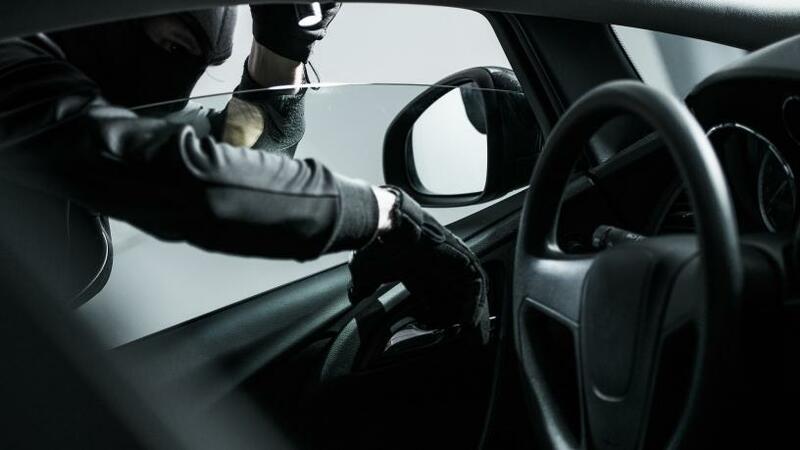 Industry: Stolen vehicle recovery (SVR) and telematics solutions to an automotive ecosystem which includes original equipment manufacturers (OEMs), dealers, insurers, fleet operators and consumers. Function: Eighty-five QlikView models across the organisation and various departments; Qlik Sense being integrated; approximately 380 internal users and 400 000 external users. Functional areas: Operations, sales, finance, debtors & creditors, customer-facing, procurement, and (soon) HR. Challenges: With over 40 million telematics messages being generated daily, Tracker was hard-pressed to manage and evaluate this information in a meaningful way. Manual processes were simply too time-consuming, and customers required real-time information for it to be of value. Solution: Tracker implemented QlikView in 2012 and joined the SA Qlik Master Reseller Partner Team in the OEM division in 2016. * Vast improvements and more efficiency in most business areas. Three years to develop 75 applications covering Tracker's operations, sales, finance, debtors & creditors, customer-facing analytics and dashboards, and procurement. Usage statistics show 12 966 hours spent on Qlik internally, offering immense productivity benefits.